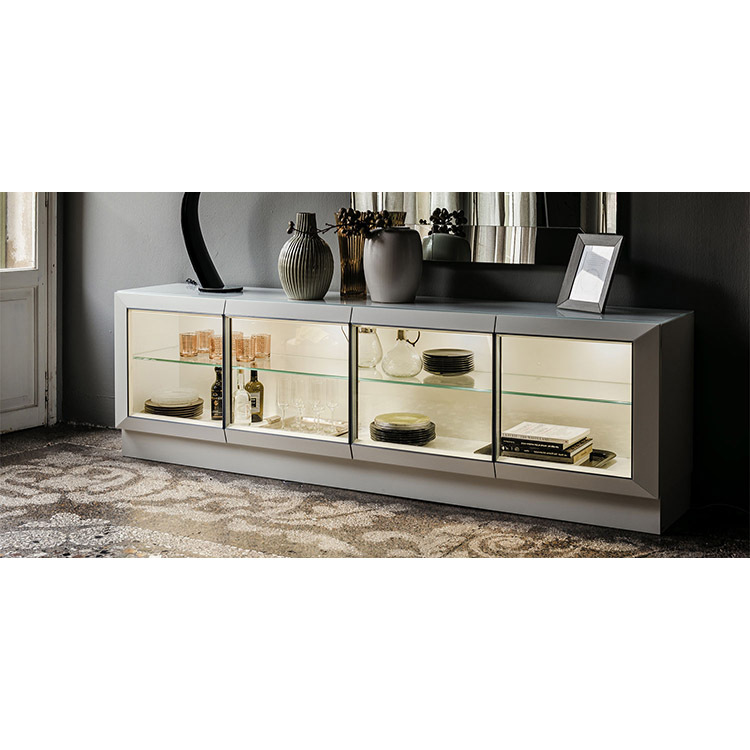 Sideboard, display cabinet in matt white or graphite lacquered frame. Door profiles lacquered in matt white or graphite or Canaletto walnut. Doors and internal shelves in extra clear glass.